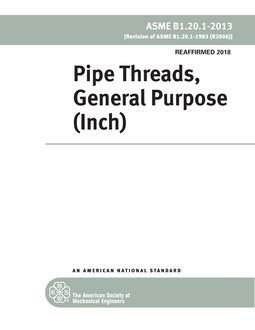 This Standard establishes specifications for wrought copper and wrought copper alloy, solder-joint, seamless fittings, designed for use with seamless copper tube conforming to ASTM B88 (water and general plumbing systems), B280 (air conditioning and refrigeration service), and B819 (medical gas systems), as well as fittings intended to be assembled with soldering materials conforming to ASTM B32, brazing materials conforming to AWS A5.8, or with tapered pipe thread conforming to ASME B1.20.1. This Standard is allied with ASME B16.18, which covers cast copper alloy pressure fittings. It provides requirements for fitting ends suitable for soldering. 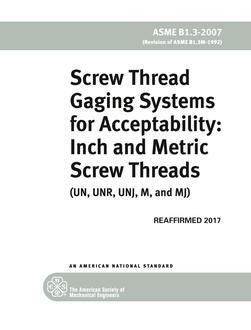 This Standard covers pressure-temperature ratings, abbreviations for end connections, size and method of designating openings of fittings, marking, material, dimensions and tolerances, and tests.